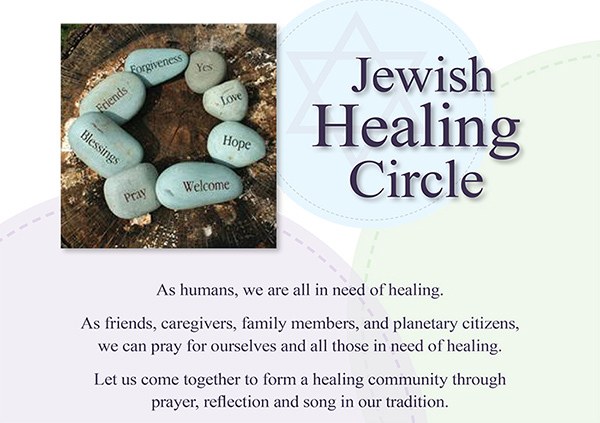 What is a Jewish Healing Circle? 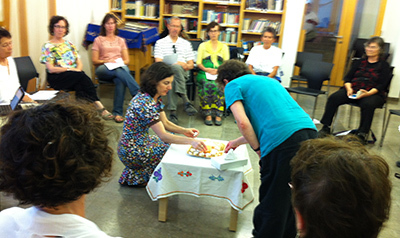 A Jewish Healing Circle offers a space for individuals to pray for healing for themselves and others. The program includes music, movement, meditation and text to create a calm, uplifting experience. What makes a Healing Circle Jewish? Jewish tradition is replete with practices like visiting the sick (bikkur cholim), reciting Psalms for those in need of healing, and offering a misheberach (healing prayer) as Moses did for his sister, Miriam. Rabbi Joseph S. Ozarowski, in his article, “Is Jewish Healing Kosher,” cites Orthodox sources that sanction the work of the Jewish healing movement. In Sue Gurland’s Healing Circle, participants join in song, prayer and meditation that focus on the Kabbalistic healing energies of the time of year and the Jewish calendar. The theme varies each month according to the cycle of seasons and holy days. Where can I find a Jewish Healing Circle? 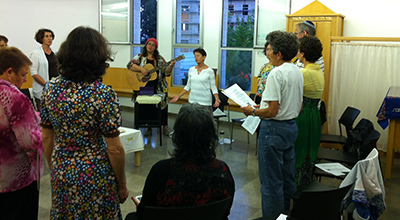 The Jewish Healing Circle is offered and conducted by Sue Gurland, Spiritual Director, and Tuviah, Rabbi and musician. Click here to see the 2017 flyer. For suggestions for starting your own Healing Circle, see Sue Gurland’s blog post at Ritualwell. To Read a Sun Sentinel article about the Jewish Healing Circle click here. © Copyright 2018 Moving Through the Tree of Life, All rights reserved.